There’s always a surprise ending to the season in Russia’s second-tier Football National League, but not necessarily in a good way: 2017-18 was no different. The relegation fight went down to the wire, with an added plot line thrown into the mix at the very end when it became clear that only four FNL teams would be relegated instead of five. 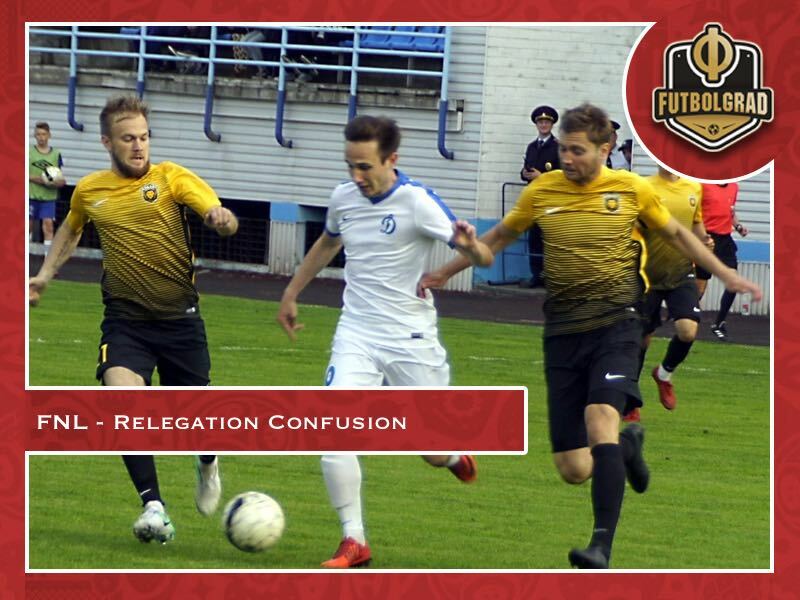 None of the sides in the third tier Professional Football League East applied for a licence to play in the division above; Zenit-2 were therefore reprieved, despite having been in the FNL relegation places for much of the season. Rotor Volgograd finished a place below Zenit-2 and in the ‘proper’ relegation zone, but manager Sergey Pavlov wasn’t concerned: “As far as I know, we’ll stay in the FNL,” he said shortly after the final whistle of the final game. “Before the final round of games, we knew that if we moved up from 18th to 17th then we’d definitely stay up. A number of teams will resign from the league – we knew that in advance.” Relegation means relegation, most of the time – but in the FNL relegation might mean relegation. Pavlov was probably talking about Kuban Krasnodar. Kuban fans recently celebrated the club’s 90th anniversary, though around the same side the initial stages of bankruptcy proceedings were started against the club due to unpaid debts. “A top football club like Kuban can’t keep existing as it has done for the last two years,” said Kuban coach Yevgeny Kaleshin at the end of the season. “It’s pointless for professional football. The team has existed and lived professionally, but the same is not true of the club.” Kuban may drop into the PFL next season but may find themselves in amateur regional football. This has happened before to history-rich but cash-strapped clubs at this level, who, like Kuban, struggle to balance the books in a geographically sprawling league that has few decent sources of income. Neither Kuban nor Volgar have been granted an FNL licence for next year, and nor have Luch Energiya Vladivostok – the side that finished immediately below Rotor in the relegation places. Ironically, Luch would be the beneficiary if any third-tier PFL teams cannot get an FNL licence. Currently, three PFL teams in the regional promotion positions have been refused a licence – one, Ararat Moscow of the PFL Centre, have announced they will move to play in Armenia as a result. The appeals against this (including Ararat’s, who seem to be lodging one just in case it is successful) will be heard at the end of the month. Things are no better further up. 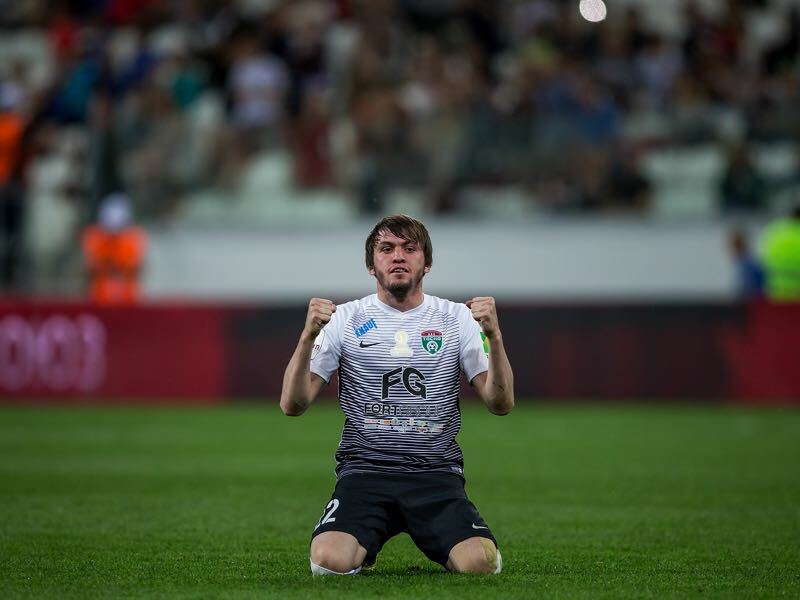 Having seemed to be a well-run new club around a year ago, FC Tosno have found a first Russian Football Premier League season to be a challenge both on and off the pitch. They have been automatically relegated (though they won the Russian Cup), and rumblings around financial problems began earlier in the season. Tosno’s players haven’t been paid since February, and the club hasn’t been granted an FNL licence. If the financial problems can be sorted out then it can appeal against this, but otherwise, relegation into the PFL is likely. Worse than that, but a real possibility, would be disappearing totally: Tosno could yet become a firework club, shining brightly for a short time before vanishing (FC Moscow are probably the most famous example). A worst-case scenario in the FNL this summer might see Kuban and Volgar go under, leaving a division of 18 instead of 20. If Tosno were also unable to get a licence, that would reduce to 17. Luch would unlikely use the reprieve if no more PFL clubs were promoted, meaning Luch getting relegated but no side taking their place – 16 teams, or a 2018-19 league 80% as big as it was in 2017-18. A more likely scenario is that enough PFL clubs will be promoted (even if they didn’t finish in the promotion spot…) – which could mean a league of 18 rather than 20. The main problem clubs have (a lack of money and sizeable overheads) isn’t going away. So what is the answer? Reducing the league’s size permanently is one option – and logical given that not enough teams are able to sustain themselves in a vast and largely unprofitable league. However, emotionally it feels wrong that a large country with footballing history should be decreasing its second tier. The other answer is to do something about the league’s geographical size. 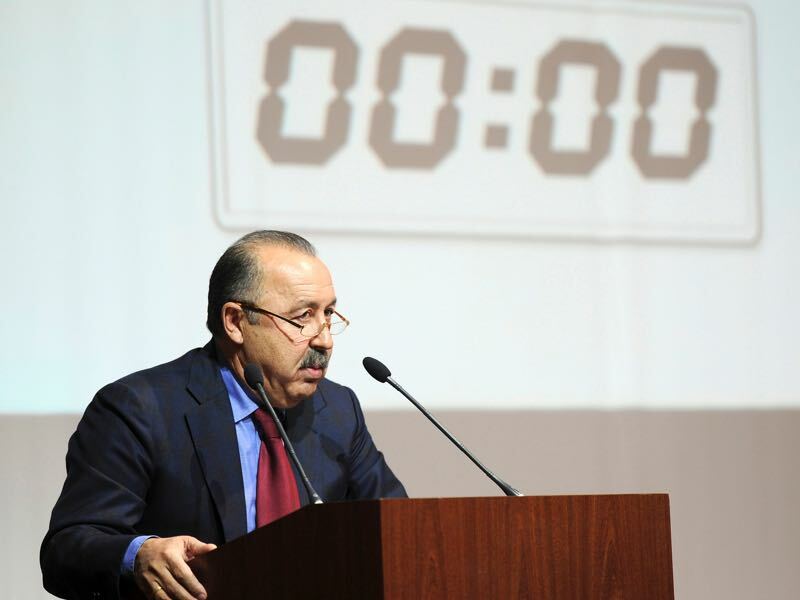 This concept has been raised several times before; back in October 2015, I covered proposals for a regional FNL from former football manager Valeriy Gazzaev, alongside Futbolgrad’s own proposals. Both the Gazzaev and Futbolgrad versions envisaged an FNL with three regional divisions: Futbolgrad’s version reduced the distance sides would need to travel in a sprawling East FNL by having South and North divisions, rather than a West/Centre/East model proposed by Gazzaev. We also suggested banning ‘2’ teams from the league (currently both Zenit-2 and Spartak-2, unable to be promoted, lurk around the lower reaches of the FNL). Thank you so much for the article! I was very confused about why teams didn´t relegate to third division, or why Volgar-Astrakhan relegated… Looks like the league is going through some rough times. I would definitely implement a FNL group separation according to geographical location… this can no longer go by. We need a real solution to the problem.